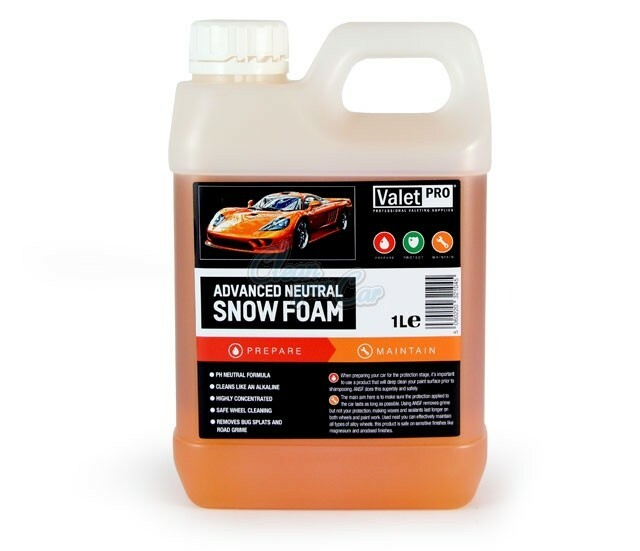 New from Valet Pro is the Advanced Neutral Snow Foam. Sometimes you need something stronger than a pre-wash but don&apos;t want anything as strong as a traffic film remover and that&apos;s where advanced neutral snow foam comes in. This is safe to use on all surfaces and doesn&apos;t strip waxes and sealants.